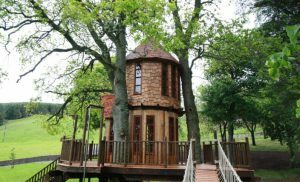 We recently caught up with our friends at Dalkeith Country Park to see how things were going with Fort Douglas, the woodland adventure playground that we finished building this summer. We were delighted to hear that after just 6 weeks of being open, the playground has exceeded all expectations. Set within 2,250 acres of grounds, Dalkeith was predominantly used by local dog walkers and the existing playground needed updating. 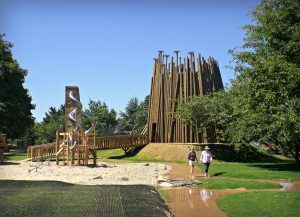 Blue Forest were asked to design a woodland adventure playground and created Fort Douglas, a spectacular and interactive woodland space that incorporates an exciting network of high-rise walkways, balance blocks, climbing nets, jumble climbers, swings and slides. A spectacular Look-Out Treehouse is the centrepiece of Fort Douglas, featuring a maze of rooms and tunnels to explore inside. 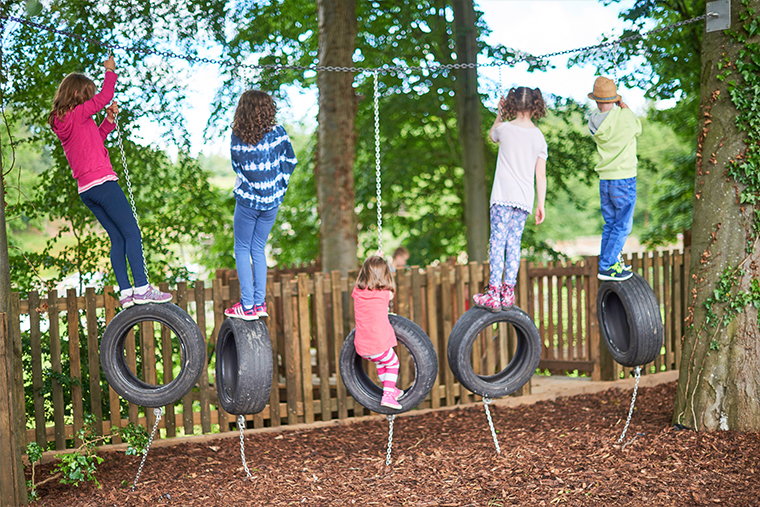 The adventure playground is part of a wider £7m redevelopment programme to transform Dalkeith Country Park with a new cafe, retail area and wellbeing lab – helping to create over 50 jobs. An upgraded logo and branding was launched at the same time to emphasise the park’s new identity. Since the park’s new opening, it’s welcomed 57,000 visitors in the first six weeks – which is a phenomenal amount in comparison to the 15,000 who visited in a whole year before the changes were made. Originally Dalkeith forecasted an annual total of 300,000 people visiting the park following the rejuvenation but they’ve confirmed that it’s now expected to be 400,000. The playground has played a key part in generating interest and attracting both locals and visitors from across the UK and beyond. ‘It’s clear that people are mainly coming to use the playground’, said James Palmer, Associate Director at Buccleuch Property. ‘Everybody is talking about it’.